Washington residents struggling with alcohol abuse can regain freedom from this addiction. The medical experts and professionals that will provide assistance, support, and treatment advice are just one phone call away. Delphi Health Group connects callers to professionals that offer support and assistance to people struggling with alcohol addiction. Delphi Health Group provides round-the-clock alcohol and drug counseling, treatment advice, and treatment services to callers. Call the alcohol helpline at (866)-520-2708 to get access to these services. The private info shared with the agents will remain in secret. 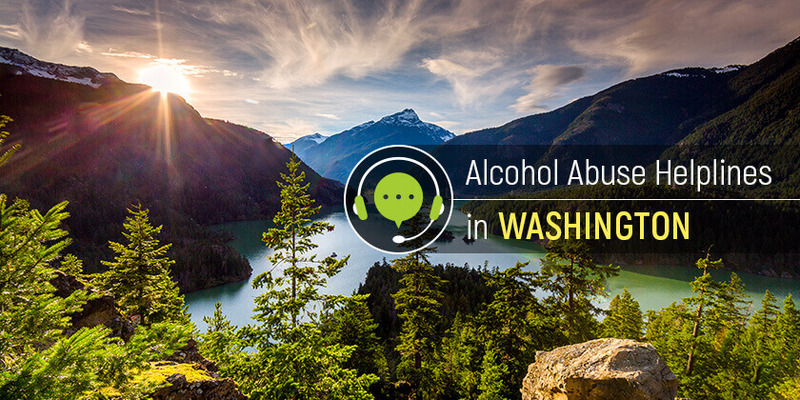 Washington residents can call the alcohol abuse helpline any time of the day, for free. Reach out and get the help covered by insurance. Washington Recovery Helpline is an alcohol help hotline number available on a 24-hour basis. The well-trained agents provide the counseling and assistance to the residents of the state struggling with addiction. Their family members can also reach out for emotional support and intervention advice. Call the alcoholism helpline at 1-866-789-1511 to speak with a representative who will provide the referral to local treatment resources and services in the state. The NCADD offers treatment counseling services to people who desire recovery from alcohol addiction and substance abuse disorders. The national abuse hotline provides referral services to the best programs nearby. Representatives provide nationwide coverage but connect callers to local alcohol treatment facilities and rehab centers as well. Call this national alcohol abuse hotline on 1-800-622-2255. Living in Washington state and need some help? Reach out now to regain control over life.